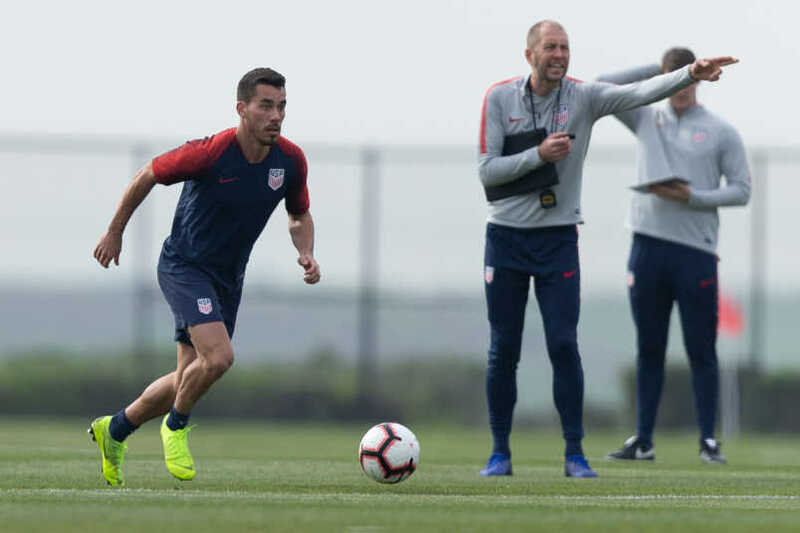 By Charles Boehm – WASHINGTON, DC (Jan 25, 2019) US Soccer Players - With a brand new coaching staff in charge, this year’s USMNT January camp is at least somewhat of a new experience for everyone involved, even a long-serving veteran like Michael Bradley. That said, it’s a different sort of scenario for Daniel Lovitz. This is the first national-team call-up of any kind, at any age level, for the 27-year-old Montreal Impact left back. It’s pretty rare to see a newbie at that age, as he readily acknowledges. 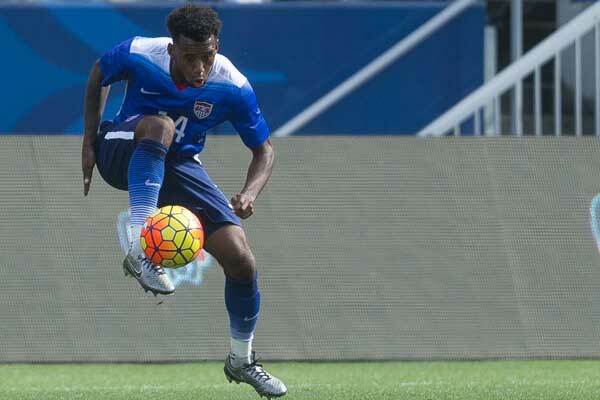 The Wyndmoor, Pennsylvania native doesn’t plan to let any of that stop him from making the most of his chance. In the wake of Greg Garza’s early departure from camp with a quad strain, he might even get to make his international debut straightaway, whether vs Panama on Sunday or against Costa Rica next week. Lovitz played youth soccer for modest Philadelphia-area club Lower Merion SC before carving out a strong but not statistically dazzling NCAA career at Elon University in North Carolina. When Toronto FC, at the time still climbing away from a dysfunctional past, picked him in the second round of the 2014 MLS SuperDraft, the move north of the border took him even further off the US radar. Nor did his professional prospects skyrocket upon arrival at TFC. Naturally left-footed, he earned decent playing time as a utility man on a flawed roster, though that opportunity also carried a cost. Parting ways with Toronto, Lovitz trialed for both of the Reds’ Canadian MLS rivals during the 2017 preseason. Eventually he earned a contract from Montreal, “more to be a depth piece than anything,” in Lovitz’s own words. Star playmaker Ignacio Piatti owns the deed to the Impact’s attacking left wing, so Lovitz could focus on fullback, if only as the backup to Ambroise Oyongo. At least until the Cameroon international ruptured the patella tendon in his right knee in an Africa Cup of Nations qualifier. “I stepped in and played left back for the remainder of the season, and that was the longest stretch I had had with consecutive starts in one position in my career,” Lovitz said. Lovitz was the Impact’s “defensive player of the year” for 2017. Last season, his stock climbed further under the tutelage of respected French coach Remi Garde. In 2018 he grew into one of MLS's most consistent left backs, with a goal and five assists in 31 league appearances. “It’s just been a breath of fresh air to be able to call a position home, to focus on perfecting it as a craft and now being able to do it at the highest level,” Lovitz said. Now he has the chance to show his value as a specialist for Berhalter, whose methodical, pragmatic mindset he came to respect from Montreal’s meetings with Columbus Crew SC. Some saw Lovitz as one of the surprising names on this roster. That may be because his club team’s limited exposure on US television hasn’t given USMNT fans a glimpse of his solid work as an energetic, clean-passing, modern wide defender. Specifically, in a perennial position of need, as a new regime considers its options and builds its culture. Checking the squad into spartan dormitories at the Chula Vista Elite Athlete Training Center, Berhalter and his staff have worked to impart their ideas as swiftly as time allows them, in hopes of laying a sturdy foundation this month. It’s been frenetic but fun for the new guy. Berhalter has earned a reputation for ambitious tactical concepts and attention to detail, and Lovitz is eager to test things out in match action. “I feel comfortable in it, I’m looking forward to the areas in which I’m expected to pick up the ball, the looks I’m supposed to give, the support that I’m supposed to give to my teammates around me,” he said. Tthe USMNT don’t appear to have an automatic starter at left back at present, so there’s really no telling where Lovitz’s late-blooming international career will go from here. For now, he’s more than happy to trust the proverbial process and follow Berhalter into a new era. “[We’re] just making sure everybody knows what’s expected of them, what the overall, overarching theme is in how we want to move the ball, how we want to defend, and making sure that wherever the ball may end up or how things go in the game, that we’re all able to click into those movements and those organized patterns of play and those organized shifting of players as quickly as possible and efficiently as possible,” he said. Charles Boehm is a Washington, DC-based writer and the editor of The Soccer Wire. Contact him at:cboehm@thesoccerwire.com. Follow him on Twitter at:http://twitter.com/cboehm.